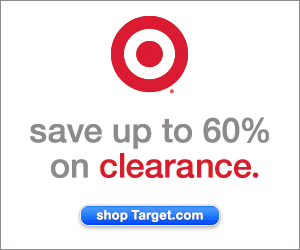 While I'm Waiting...: Friday Favorites - more randomness! 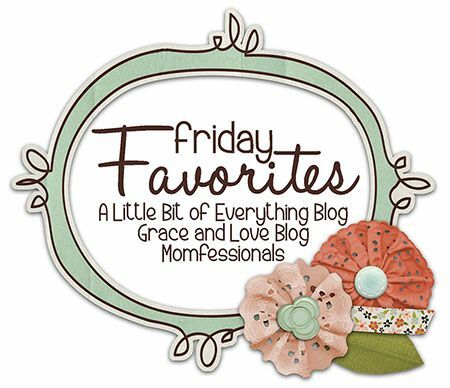 Friday Favorites - more randomness! Last week was my first link up and it was so much fun! I couldn't wait to share some more of my random Friday Favorites this week! * yarn therapy - I love to crochet! It's one of those weird secrets that you don't like to tell people. I swear that when I get out my yarn, my husband sees me age right before his very eyes! But, I've come to see it as one of my gifts. God gave me the ability to do this so why should I be embarrassed about it? Not to mention that crocheting is very therapeutic for me. There's just something about the repetition of the stitches working together to become a completed project that's very good for my soul. A few weeks ago a friend asked me to make a couple of hats for one of her dear friends that is having a baby TODAY! I can't wait to see a picture of her sweet bundle of joy wearing her hats! It's hard to tell from the picture but the pink one is made from the most deliciously soft chenille-like yarn. Perfect for a newborn! 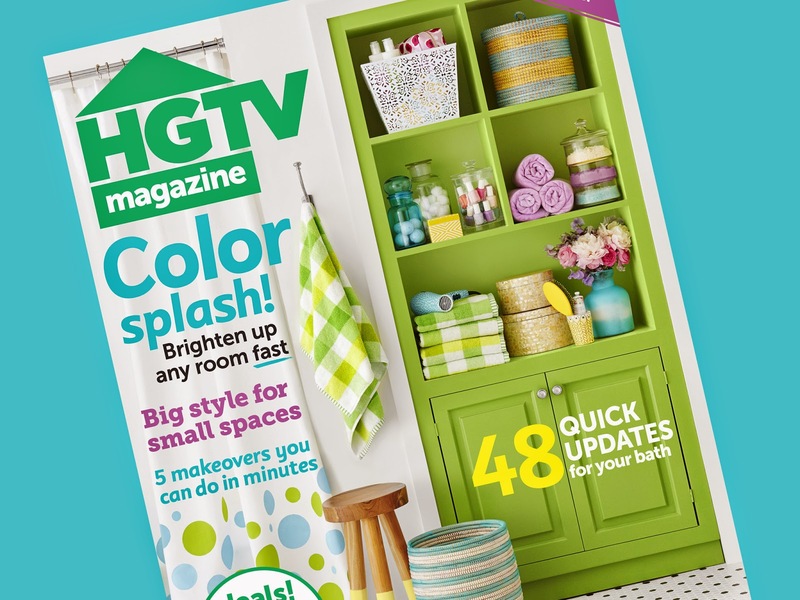 * HGTV the magazine - In this digital day and age, it's easy to forget about how things once were. There is something familiar and comforting in flipping pages of a magazine. 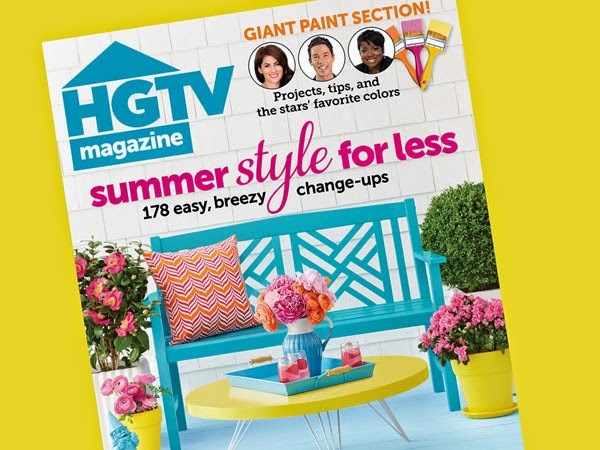 Over time I have cancelled all of my magazine subscriptions - except HGTV the magazine. I LOVE receiving this magazine each month! I get so inspired by the gorgeous pictures, DIY projects, and, don't you just get giddy being able to look inside someone else's house?! 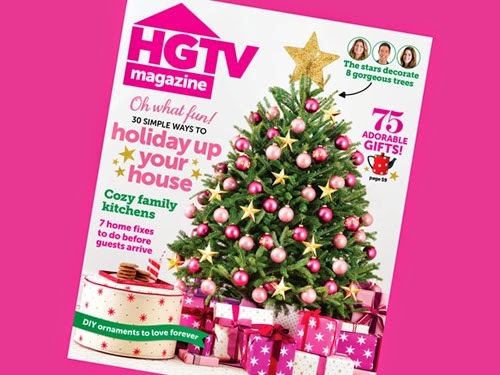 I received my November issue last weekend and, yep, I've already been through it - cover to cover! I pin my favorite ideas and then add the magazine to my stack to be donated to Meals on Wheels (why recycle when you can give to someone else to enjoy, right?!). * unexpected mail - My sweet friend, Ginny, sent me the most thoughtful card and bracelet this week. Unknown to her, the hubby was out of town and that tends to bum me out. Her kind words couldn't have come at a better time! And isn't this bracelet awesome?! 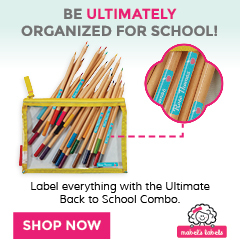 It's by MantraBand and I'm thinking these would be perfect Christmas presents for teachers or some hard to buy for nieces! I love being able to wear a little reminder to "let your light shine"! 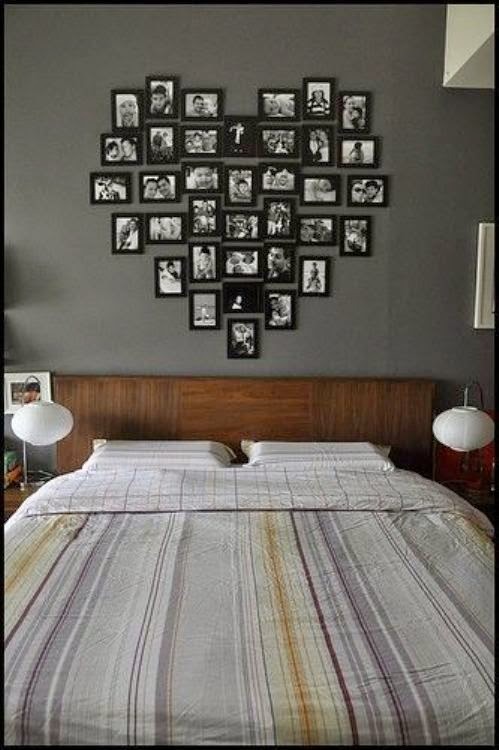 * Hope's heart collage - I love a completed Pinterest project! I pin SO many ideas but not that many get completed. But, this one was happening one way or another! I found the frames at IKEA and used special pictures from Hope's first year. I still love looking at these pictures every day! * celebrating with friends - Sunday is this hot mama's birthday! Shelly is a hard-working wife and mom to four amazing kiddos. She's a health nut who loves to workout and run (without being chased by something! ), has amazing fashion sense, loves Jesus, volunteers whenever she can, and everything else in between! She's pretty and awesome and I'm blessed to call her friend. Head over to The Queen in Between and show her some birthday love! Thanks for sharing life with me! Love you and our crazy families! And that wraps up another random Friday Favorites! Hope you have a fantabulous weekend! What an incredible surprise to see myself show up on your blog today! I feel like such a total Rockstar. Thanks for all those kind words friend....made my day! You ARE a Rockstar! Have a fabulous weekend! Let's get together and celebrate your birthday! Love the collage. It's so sweet in a heart shape!! I still love looking through magazines too. I feel like they give my eyes a break from the screen! Hope you have a fabulous weekend! Thanks for stopping by, Ida! I held on to the frames for the collage for over a year! Too nervous that it wasn't going to turn out like I had opened. All that waiting for nothing - I love it! Hope you have a fabulous weekend!